The 369th Regiment, the longest-serving and most decorated US unit in World War One, earned the nickname the "Harlem Hellfighters" for courageous acts on the battlefield. 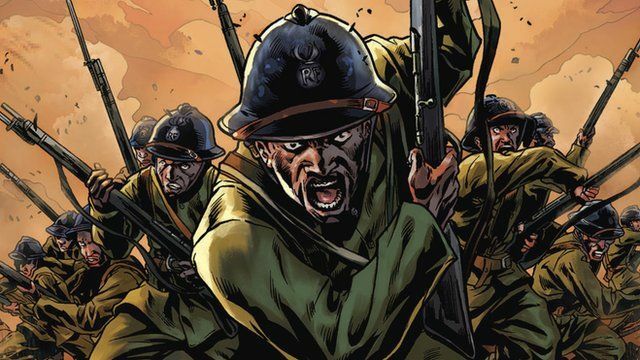 When these men returned home in 1919, they were hailed as heroes by some but also faced violence and renewed racism, according to Max Brooks in his new graphic novel about the legendary all-black military unit. This work of historical fiction tells the unit's little-known tale, from discrimination in training to brutality and victory in the trenches of France. Go to next video: Eaten by cannibals in New Guinea?